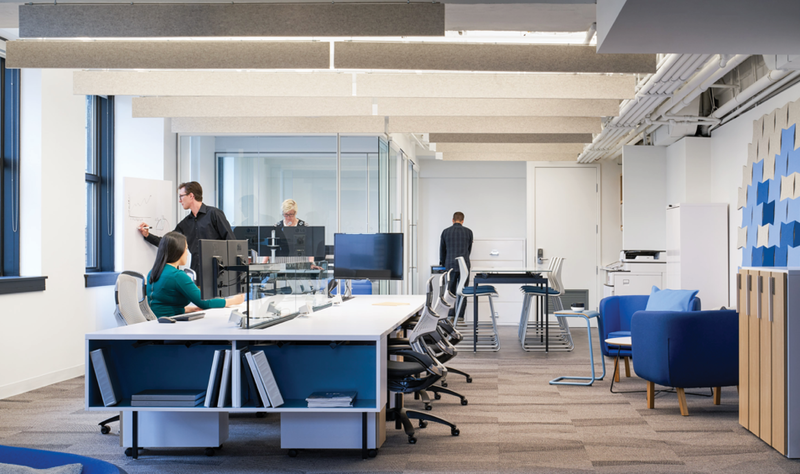 Designing a new office in today’s modern society means connecting work and people in order to foster innovation. A high-performance office environment is becoming more and more important to employees as well as potential applicants. 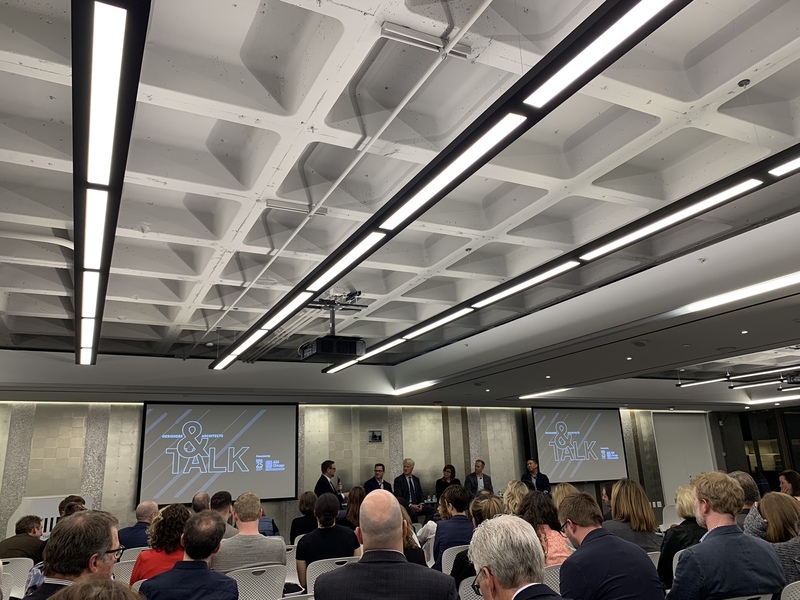 Businesses and designers are thinking outside of the cubicle to see how physical location and a little workplace strategy will grow their success and positively impact their employees. To be competitive in the commercial real estate sector, property managers strive to stay ahead of the curve of construction and design. 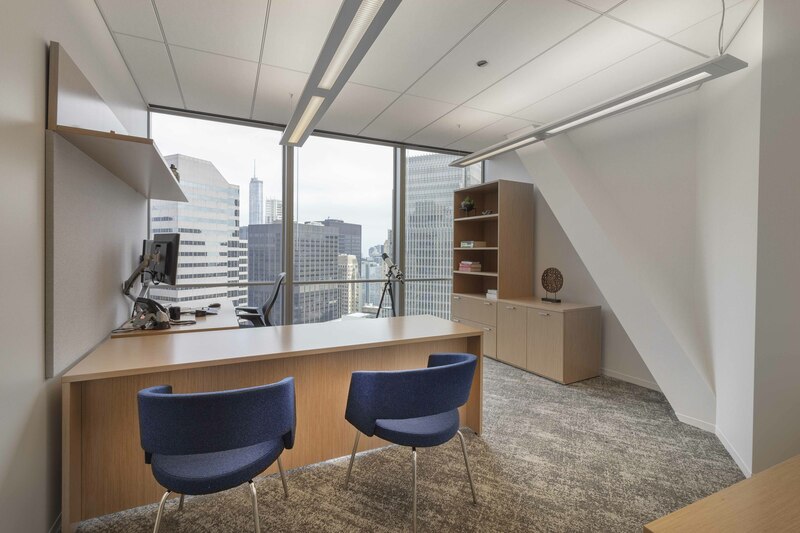 To anticipate the ever-evolving demands of commercial tenants, many building owners develop spec suites to populate and promote their properties. Increasingly, organizations are viewing the workplace as a tool to achieve business objectives. Knoll’s shared spaces guide breaks down five different areas within a workspace that can meet employees’ needs for different types of work throughout the day. These spaces also help companies optimize real estate, reduce silos, shape organization culture and retain talent. With a little strategic planning, these areas can be logically placed throughout a workspace to the benefit of employees, by giving them the opportunity to find the space they need. Knoll has identified these five areas as refuge, enclave, team meeting, community and assembly spaces. Intellectual Property Law Firm Banner & Witcoff employs more than 100 attorneys and agents in offices in Washington, Boston, Portland and Chicago. Of those attorneys, 23 have been named as 2019’s Super Lawyers and Rising Stars in the U.S. and the firm received top rankings in the 2019 world trademark review 1000. Timeline, deadlines and move in dates are always top of mind for any project manager or designer planning a renovation, office move or a build-out. The cornerstone of balancing project needs comes down to the ability to find quality products that can be ordered and delivered quickly. But ordering the right furniture for an office project isn’t just about the timeline, it’s about ensuring a positive experience for the end-user. A client will never forget if the end product doesn’t create an atmosphere that meets their vision and business goals. Corporate Concepts recently completed a furniture installation for a confidential professional services client. 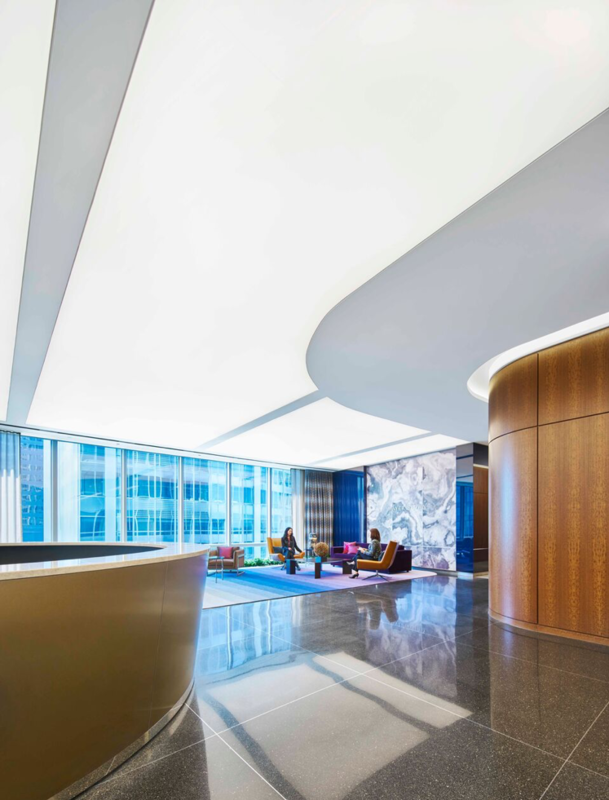 The firm hoped to achieve two main goals in the renovation of their space: Reduce the footprint of their offices in order to increase the efficiency of their space and improve the quality of the office experience for both their employees and guests. Designed by Gensler, this month’s featured project is a masterclass in the power of simplicity. In order to accurately meet design goals, the team says they tried to envision a typical day for their clients in order to increase efficiency and gratification in their space. The conception of this project embodies the daily movement of an employee. As the needs of faculty and students move further away from what buildings constructed in the 20th century can provide, universities have stretched their imaginations and budgets to develop improved learning environments to attract and retain students. 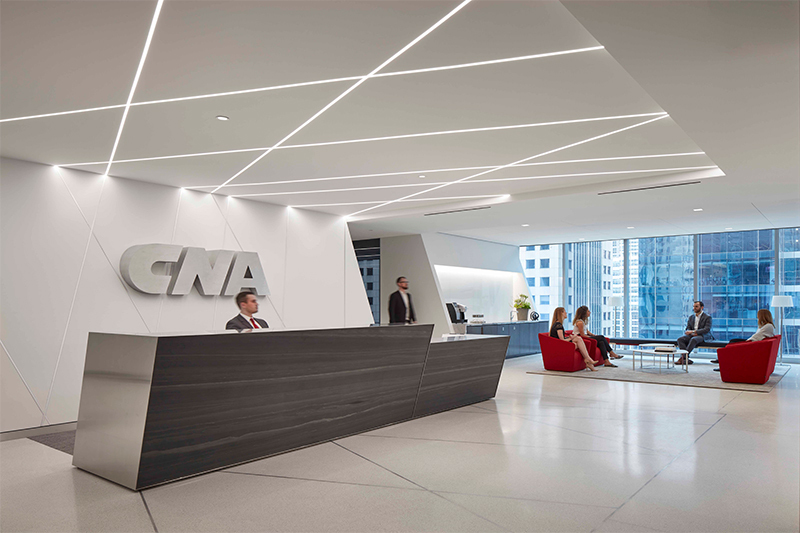 When CNA Insurance was ready to relocate 1,700 employees from their Chicago headquarters to a brand new building at 151 N. Franklin, they knew there was an opportunity to reimagine their work environment. 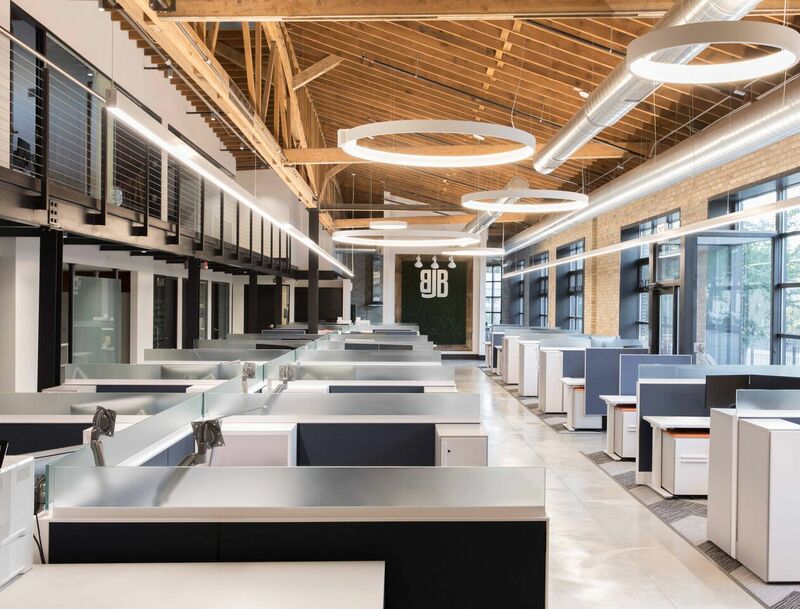 Chief among their goals were to increase collaborative space for their teams, give employees more choices in how they work, and to establish a sense of community in their office. 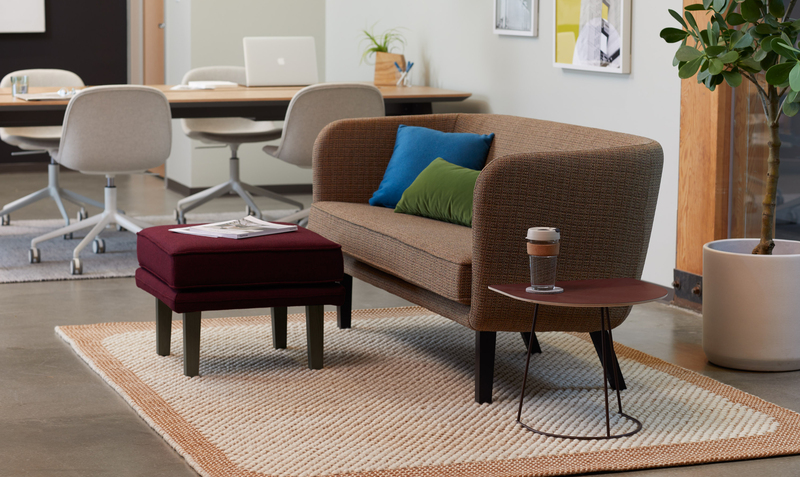 A modernized atmosphere positively impacts office culture and stimulates employees. Corporate Concepts worked within the designs by IA Interior Architects to amplify CNA’s core message, “we can show you more”, by starting with ancillary furniture in open meeting areas, conferencing, executive floor and boardrooms. From developing policies and practices to protect the biosphere, conserve natural resources and reduce waste, Knoll has been at the forefront of government development and design for over 25 years. 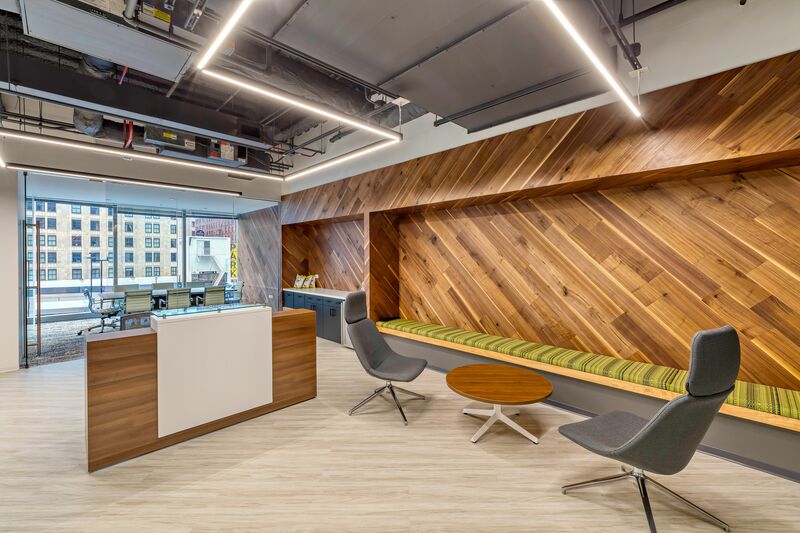 Knoll’s alignment with the U.S. Green Building Council helps federal, state and local governments achieve LEED certification and strive for a sustainable future. What makes Knoll a clear choice for government entities is their ongoing commitment to modern design which focuses on clean production, organized aesthetics and user-friendly, ergonomic structures that provide a practical, beautiful and most of all, comfortable office space. When you’re in the real estate business, you learn to challenge conventional thinking about design and learn to make the ordinary extraordinary. So when BJB Partners needed to renovate their own office to adhere to their brand guidelines of “Vintage. Modern. Remarkable.” they came to Corporate Concepts for help flipping perceptions of traditional thinking to something special through measured, impactful design.